In response to growing demand for formal software risk and quality management tools, the nations’ most respected standards bodies and IT communities of practice have joined forces to advance the state of the practice in software quality management. 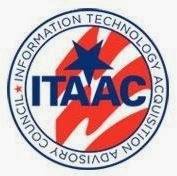 Hosted by the Consortium for IT Software Quality (CISQ), and in cooperation with Object Management Group, Software Engineering Institute, Interoperability Clearinghouse, IT Acquisition Advisory Council, a leadership forum will be held on March 26th in Reston, Virginia. The goal of this intensive one day event is to provide both IT practitioners and leaders insights into emergent industry standards of practices and case studies needed to mitigate common software vulnerabilities and risk. Examples from both a development and acquisition management perspectives will be addressed. Selected topics will focus on emerging standards and best practices in measuring risk and quality in IT intensive programs from the standpoint of productivity, software assurance, overall quality and system/mission risk. The discussion will be expose emerging methods and tools of incorporating such standard metrics into the IT software development, sustainment and acquisition processes. I am personally honored to be participating in this important forum.